Gennaro Gattuso’s signed shirt adorns an office wall at Richard Hughes’ Dorset home. Flanked by a match pendant and positioned within a frame hung high, they represent prized treasures seized almost a decade ago. During a 165-game Pompey tenure spread across nine years, the visit of AC Milan represents Hughes’ pinnacle. Born in Glasgow yet raised in Milan provinces of San Bovio and then Pioltello, the midfielder’s adoration for the Rossoneri was ingrained from a formative age, his San Siro presence regular. Then, 10 years ago this coming Tuesday, the Italian giants visited the south coast in the name of the Uefa Cup. 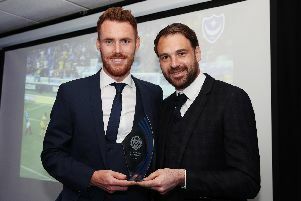 Hughes was the heartbeat of a Pompey side which came within seconds of toppling Carlo Ancelotti's all-star cast amid the greatest Fratton Park atmosphere many have savoured. That wet Thursday night yielded a 2-2 draw as Tony Adams’ team agonisingly surrendered a two-goal lead during the final six minutes in a fashion alarmingly customary during his reign. For Hughes, though, the ensuing anguish has eased into a sense of privilege during the subsequent decade. ‘We were against my boyhood heroes AC Milan, the dreams of dreams,’ he said. 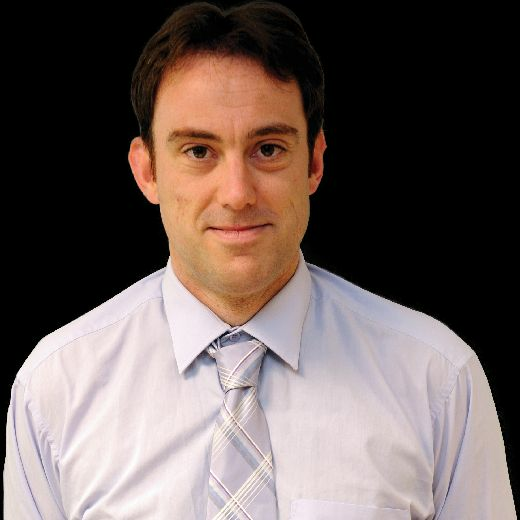 ‘I had lived in Milan for 18 years and would watch them on alternative weeks at the San Siro, while I had friends in the Milan end that night – but I really wanted to win that match. ‘To subsequently draw from that position inevitably led to disappointment. ‘How did we not win the game of my dreams? Well, Ronaldinho had produced something magical – which Ronaldinho does – and Filippo Inzaghi had scoring a typically Inzaghi goal. ‘However, looking back 10 years on, I actually preferred that outcome. ‘I would have loved to have beaten them, of course I would, but it came so close to a perfect game. I thought I had a good match, my whole family were present at Fratton Park, we were 2-0 up, and then privileged to witness something special from Milan. ‘Ronaldinho’s free-kick was unbelievable. I was in the wall when that was struck and as soon as he hit it I thought “Miles wide, but then again, it’s you” as he swerved it into the net. It was almost as if you wanted to clap and shout “fair play”. ‘The Inzaghi goal in time added on was a defensive mistake from us. I was thinking “Sylvain, Younes, who has Inzaghi?”, but that’s what he does, he did that hundreds of time in his career and that is exactly why I idolised him. Ahead of Milan’s historic visit on November 27, 2008, manager Adams was deprived of Sol Campbell, Lassana Diarra, Niko Kranjcar, Jermain Defoe and John Utaka through injury. It meant Younes Kaboul partnered Sylvain Distin in the centre of defence, yet it was Pompey’s midfield area which represented the bulk of the enforced changes. Loanee Armand Traore occupied the left, with Glen Little on the opposite flank and Hughes and Papa Bouba Diop taking guard in the centre. What unfolded at a fervent Fratton Park was Kaboul and Kanu establishing a two-goal lead after 73 minutes. Yet Kaka, Gattuso, Emerson, Flamini, Dida, Shevchenko, Seedorf, Pato, Zambrotta and –of course – Inzaghi and Ronaldinho swooped late. Hughes, who these days works as Bournemouth’s first-team technical director, added: ‘That night provided the best atmosphere I played in during my career, easily. ‘What an incredible AC Milan side that was. I knew Carlo Ancelotti’s team inside out, I idolised them, while my brother, Patrick, was a season ticket holder. They were household names and I knew them forensically. ‘I would get nervous before a game yet, for some reason, driving to that match I was just so happy – a feeling which had never happened to me before or after. ‘It was almost as if you were that boy who wanted to play football and had finally made it. Forget signing my first professional contract or making my Premier League debut, this match against AC Milan represented fulfilment. The game also lived up to it. ‘There are stadiums containing 50-60,000 people in which you cannot hear yourself think, but to experience that in front of 20,403 at Fratton Park was extremely special. ‘You couldn't hear yourself, communication was redundant. I was playing alongside Papa Bouba Diop, and there wasn’t a lot of talking with Papa anyway, but none of the players could be heard. The noise was relentless from start to finish. ‘Glen Johnson was our man of the match, laying on both goals, but he almost missed the kick-off following a bad accident on the A3M on the journey from his Surrey home. Only Jonno could have rolled up 10 minutes before the start and put in a performance like that, he was unbelievable! ‘Players like that allowed us to go toe-to-toe with a team like AC Milan, he was outstanding and that was probably his best game for the club – definitely the finest I saw while in the same team as him. ‘With our right-back delayed before kick-off, there would have been panic from Tony Adams’ perspective, while we were thinking “Where's Jonno? Surely he’ll be here for the game?”. Well, he wasn’t there for the warm-up, but must have quickly done two or three minutes on his own because I didn’t physically see him until lining up in the tunnel to go out! ‘He was such a cool character, it was no problem. Anyone else would have been flustered, yet he had a smile on his face. ‘When the match got underway, Mathieu Flamini absolutely clattered me early on, leaving me really, really sore on my left foot. I thought I’d have to go off, it was awful swelling and I was limping, but couldn’t come off in a game like that. ‘It was probably one of the only times where I didn’t get a sensible booking, but I had to get my revenge – I took out the AC Milan midfielder in the ninth minute. Ultimately, it was Ronaldinho and Inzaghi who denied the Fratton faithful of their dream game. Regardless, those memories continue to be as treasured as Gattuso’s shirt adorning an office wall at a Dorset home.